Imported Russian Chocolate "Babaevskiy" with Almonds buy for 2.7900 in store RussianTable with delivery. Weight - 100 gr. Sugar, cocoa paste, almond nuts, cocoa butter, alcohol, French brandy, tea. 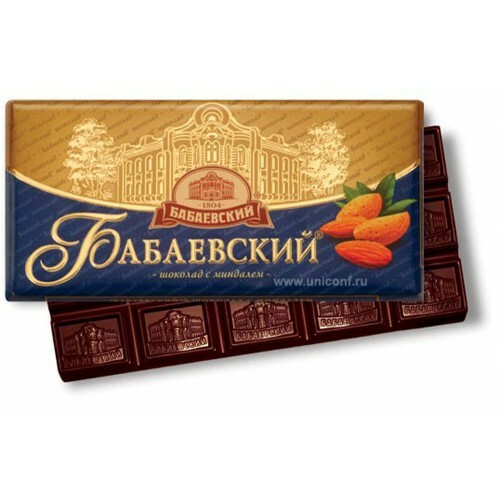 Do you have any questions about Imported Russian Chocolate "Babaevskiy" with Almonds?